I have been doing a little sprucing up around the house lately. Nothing major, just tidying the bookshelves, framing pictures that have been waiting to be framed for a long time, placing candles around to be lit on these dark winter evenings. I always get the urge to do this after Christmas; once all the decorations are put away, the house looks so bare and I feel the need to make it a bit fuller, a bit cozier. .....and it the most beautiful magazine I have ever seen. 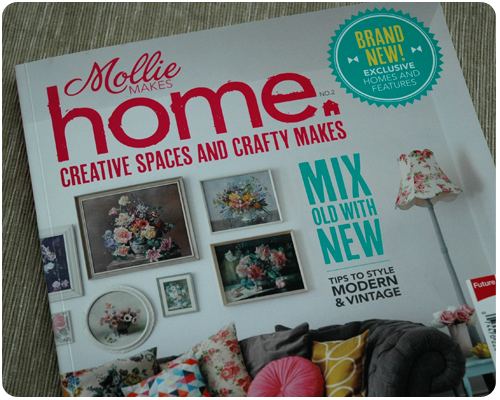 So many beautifully styled pictures, so much creativity, great articles about designers. I have spent many hours pouring over the pages soaking up the inspiration. I was particularly inspired by this picture, specifically the pillows on the couch. I love the mixing of traditional patterns – the rose pillows that look like something my Oma would have – with the graphic, modern pillows that look like they could have come from IKEA. And I was inspired to try something similar in my living room. Using some IKEA fabric that I fell in love with and bought a few months back, I made this polka dot pillow and added it to the others on my sofa. 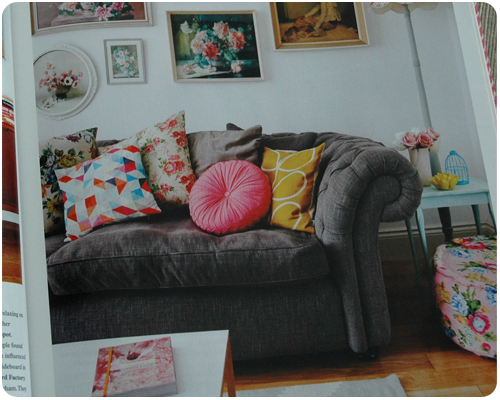 The fern pillow came with our couch and looks a bit more traditional to me, similar to the rose pillows in the magazine, while my new polka dot pillow is definitely a little more modern; the same could be said about the tulip pillow that I made a few years ago. I am not a decor whiz by any means, and I often fret way too much about how things look, but I am slowly realizing and accepting that if I decorate with things that I love and that mean something to me, everything will come together. 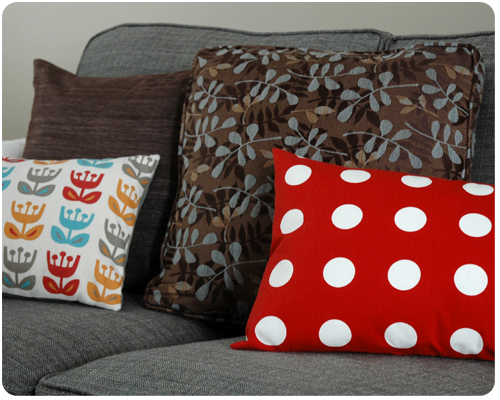 I love this polka dot pillow, I love the pillows that came with our sofa, and I think they look good together. I may add a brighter colored solid pillow to pull everything together a bit more – maybe a teal pillow. What do you think? 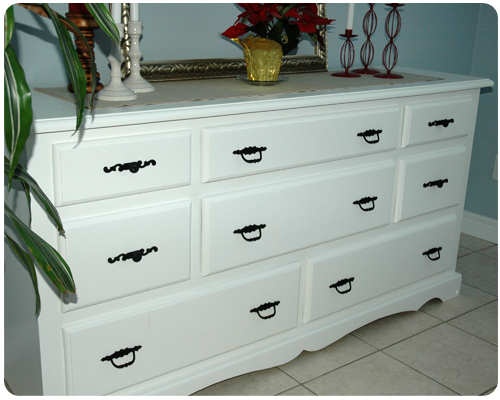 I really like the mixing of traditional and modern – it gives things a collected and timeless look and I love that. 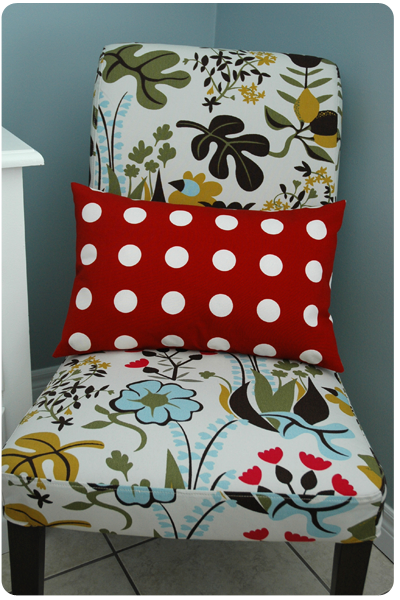 I did put my polka dot pillow on one of my kitchen chairs and I love how it looks there. 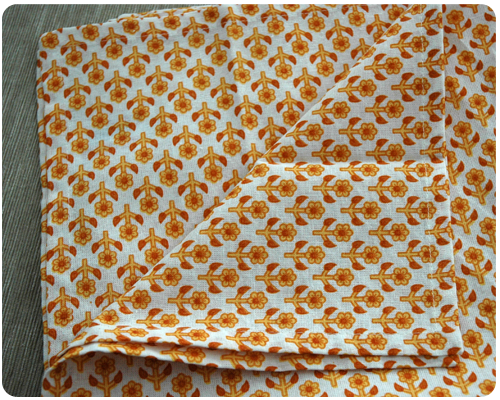 And while I was out scouring the clearance aisles this past weekend I found these beautiful dinner napkins for a mere $1.50 each – I am going to sew these into a pillow and see how that looks on the couch. Worth a shot for only $3.00. So in addition to crocheting (projects to show you soon), scrapbooking, and all the stuff that makes up regular life, I have been working on mixing things up in the living room. 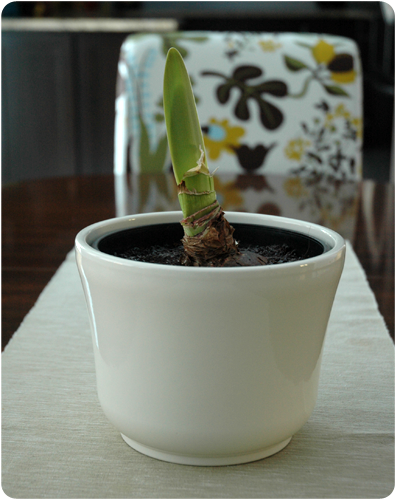 And I have really enjoyed doing so - making my home, where I spend so much of my time, a little cozier. It has also been nice to get the sewing machine out again...it had been a while since we spent some quality time together. Just a few days before my daughter's 7th birthday party, I finished this layout of her and her friends celebrating her 6th birthday. I love the paper that I used for this layout - RSVP by Basic Grey. The paper and the coordinating embellishment pack were actually picked out by my girls. Steve took them to the local scrapbook store to choose paper and supplies for me for Christmas - how I wish I could have been a fly on the wall while they were running about the store picking things out, how cute they would have been. 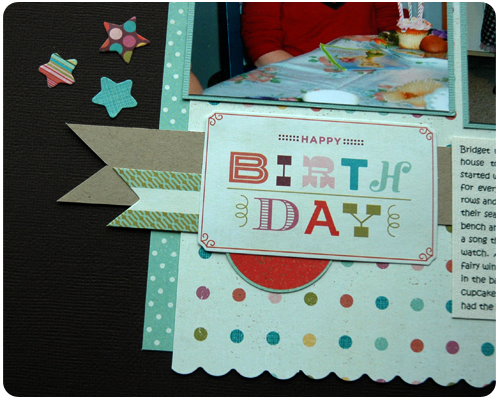 Using some of my paper scraps and some coordinating die cuts, I also made this birthday card. I am slowly finishing up my 2013 album. I am proud to say that because this is probably the most caught up I have ever been when in comes to scrapbooking. So while the cold and the snow are not my most favorite things, it has given me many evenings perfectly suited to a cup of tea and some serious scrapbooking - and there is absolutely nothing wrong with that. 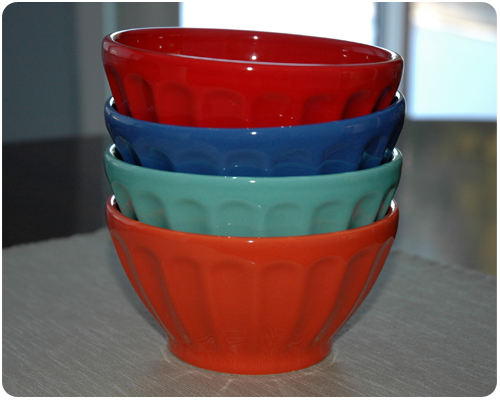 Today I am so excited to be featured as the Guest Designer over at The Memory Nest. Here is what I created using the Cut and Paste line by My Mind's Eye. What a great line of paper - the colors are very neutral and would coordinate with a variety of photos, and there are so many great patterns. 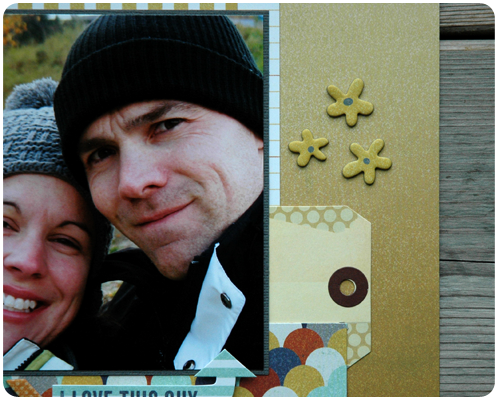 For my layout I chose to use a photo of my husband and I that we took while we were on a weekend getaway to celebrate our tenth wedding anniversary. Notice how I am happily smiling in this photo, well that was not the case shortly after we snapped this shot – I had a rather spectacular fall while we were hiking down the mountain. Thankfully I walked away with just my pride and my tailbone a tad bruised. The 'I love this guy' arrow was just perfect for my page and even though it is small, I decided to use it as my title. 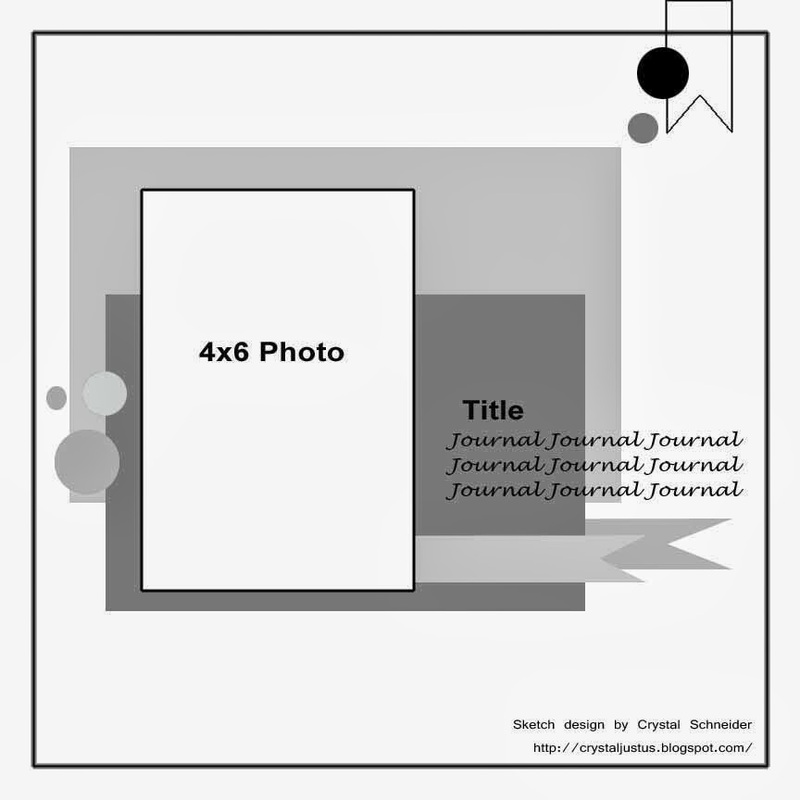 I am always trying to find new ways to add titles to my pages and thought that in this case a smaller title would keep the focus on the picture; who says a title has to take up lots of space on the page? 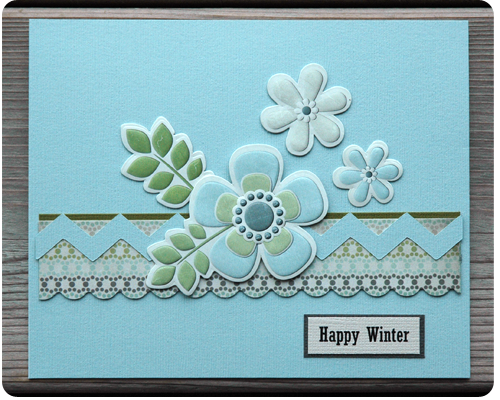 Adorable chipboard flowers – I love how they look on the same colored background paper. And did you notice the ombre effect on the background paper? Of course I really layered the paper on this page, using as many of the different patterned papers from the collection as possible. I love this layered look. In addition to my layout I also made this card. 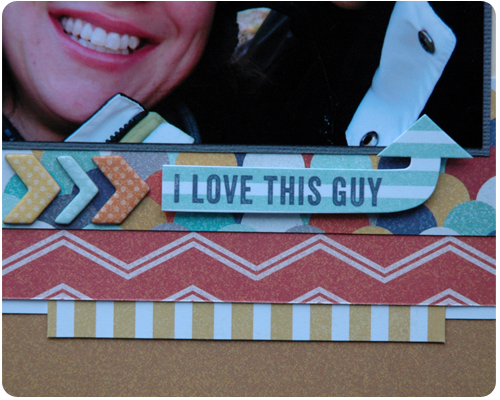 Again, I layered the papers and used some of the coordinating stickers and chipboard. I have really become a fan of buying an entire line of paper with the coordinating embellishments. It makes designing and completing a layout/card so much easier. 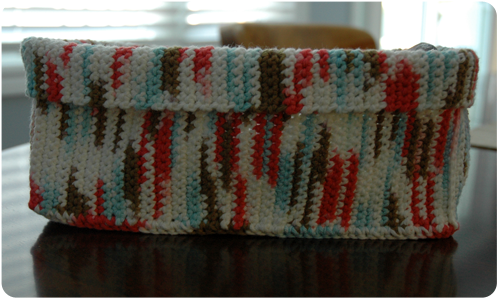 Until recently, I rarely used to purchase an entire collection, preferring to buy the odd piece of patterned paper and then use something from my stash to embellish. And while I did get layouts finished using this approach, I spent a great deal of time rummaging through my supplies. Having everything coordinated from the get-go is such a time saver. 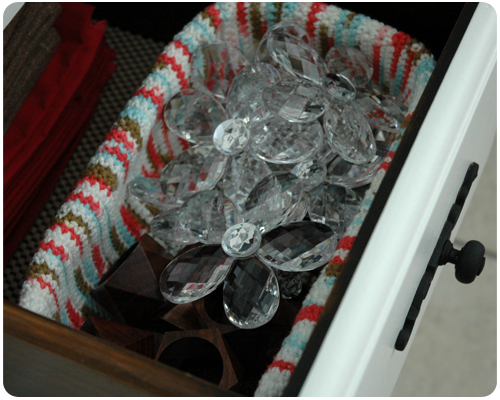 I have not abandoned my stash completely – like that would ever happen – but when I do sift through it, I am most often looking for one odd thing rather than embellishments for the entire page. The layout and card that I made here came together so easily and quickly because I had everything ready to go before I even started designing. 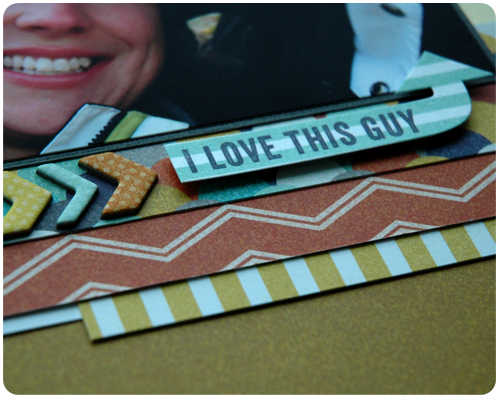 Is buying an entire line of paper and embellishments something you do? Remember these cards from The Memory Nest's color challenge back in the fall. Well, I used that same paper for the layout I am going to show you today and I am so happy because I finally got to pair it with a picture of my silly girls from Thanksgiving. I had tried to use this picture for the color challenge back in the fall, but the place I go to get my pictures printed was experiencing 'technical difficulties' and was unable to print pictures for over a week....and my deadline was looming. I was happy to get two free copies of the picture when they were up and running - one to frame for on the hall table, and one to scrap for today's sketch challenge. Did you know that The Memory Nest now has two sketch designers producing new, never-seen-before sketches? Exciting stuff. This is this week's sketch, designed by Crystal. My take on the sketch is pretty true to the original design, with a few minor tweaks to fit my larger photo. I really layered on the paper. I have been experimenting with this technique lately - combining several patterned papers, using small pieces of each, and piling them on my page. I really like the dimension layering gives, and that it is possible to use so many different patterned papers on one layout. 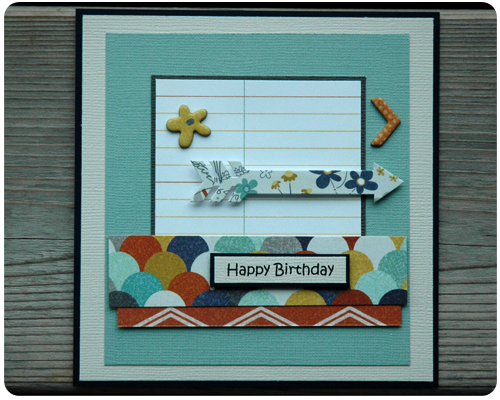 The papers and embellishments that I used on this page are from the Happy Harvest line by Doodlebug Design. It goes without saying that the work of others on the Design Team is beautiful. 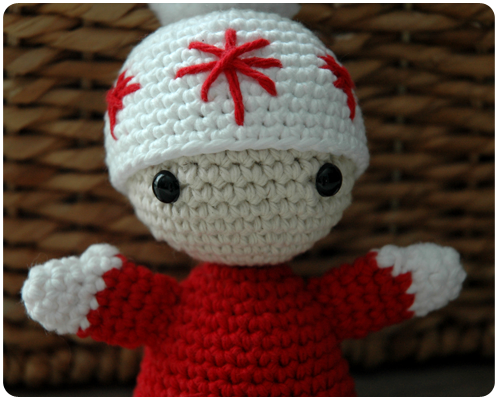 I invite you to hop on over to The Memory Nest to see what they have created. Happy New Year! I hope everyone had a wonderful Christmas. 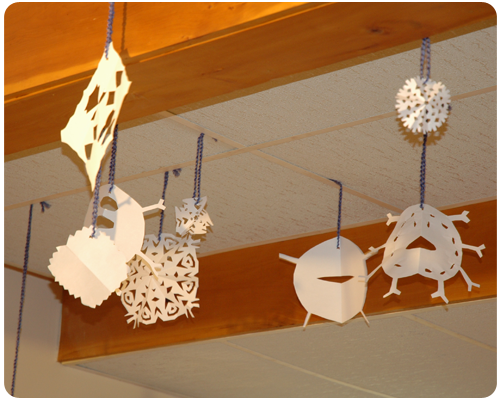 Ours was great – a few parties, lovely gifts, yummy food, family days spent relaxing in our pajamas – it was the perfect mix of going places to celebrate and spending some quiet time at home. 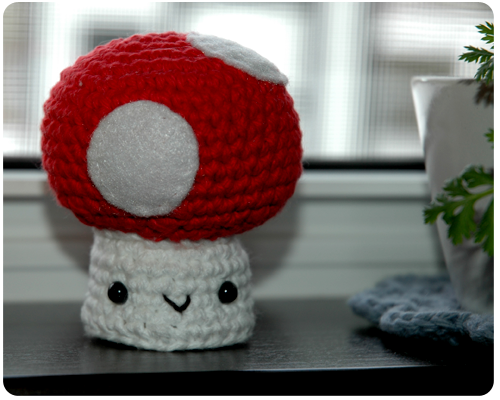 I did a bit of crocheting over the last week and finished a few projects that I am excited about. I’ll be showing those to you in the next few days. 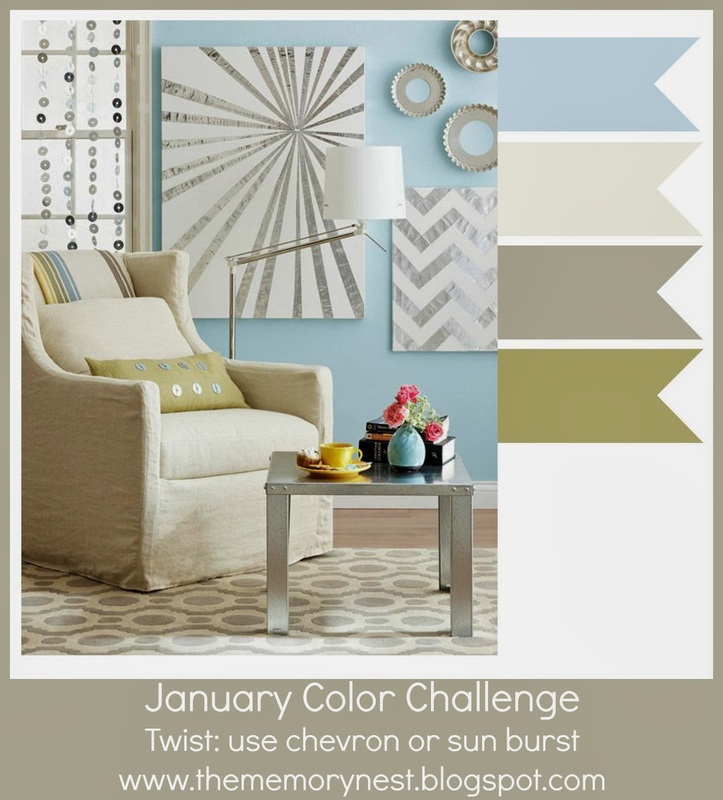 Now to the business of the day – another crafty challenge courtesy of The Memory Nest: a color challenge with a twist, the twist being to use chevrons or sunbursts. 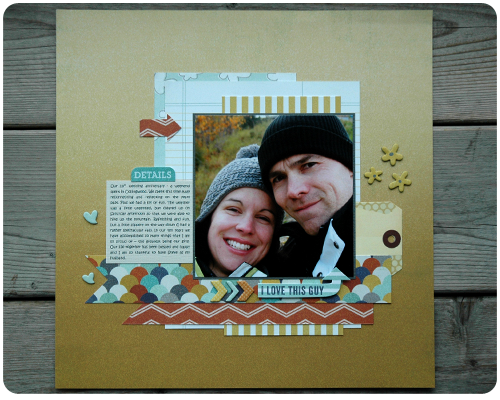 When I sat down to create for this challenge I could not believe how long it had been since I did any scrapbooking - a challenge was exactly what I needed to work on to get back into my creative groove. I made two winter cards. Very appropriate considering the weather here - snowing and so cold! 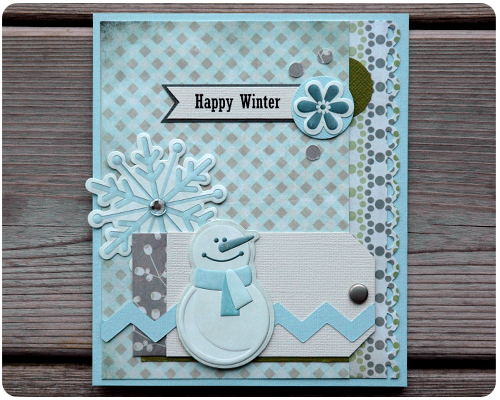 The paper and stickers I used are from the Winter Frost line by We R Memory Keepers and are leftover from a winter layout I did last year. 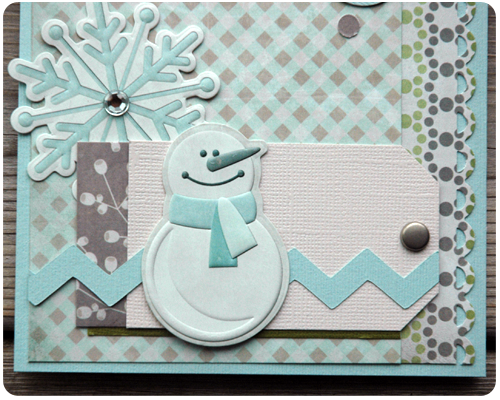 Lots of patterned paper and layers on this first card, plus a cute little snowman. The second card is much simpler. Notice I didn't go overboard with the chevrons. They are there to add a little detail to the cards, but are in no way overpowering. 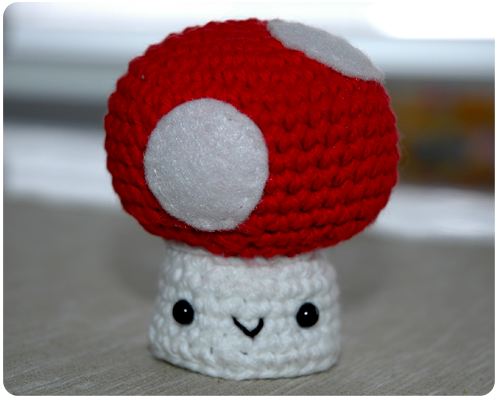 As usual, the work of the other ladies on the Design Team can be found over at The Memory Nest. 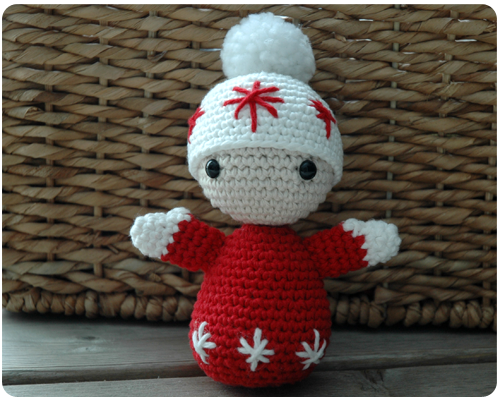 Thanks for reading and if it is cold where you are, try and keep warm.